A short weekend trip to Yosemite is in order as I have been dying to visit what some call the most beautiful park in the National Park System, if not one of the most beautiful places on planet Earth. 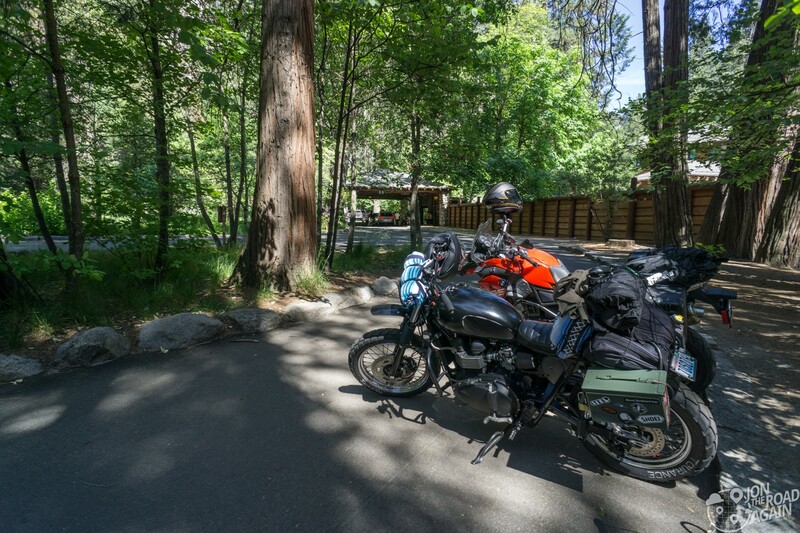 I’ve rented a BMW 800GS from EagleRider in South San Francisco and the plan is to meet my friend Andrew (who is riding down from Santa Rosa) for lunch at the Majestic Yosemite Hotel in Yosemite Valley. We didn’t coordinate our travel times or routes, so imagine my surprise when I see Andrew is three vehicles in front of me at the Yosemite Valley entrance gate. Perfect timing! We find some parking near the entrance and go in for a bite to eat. 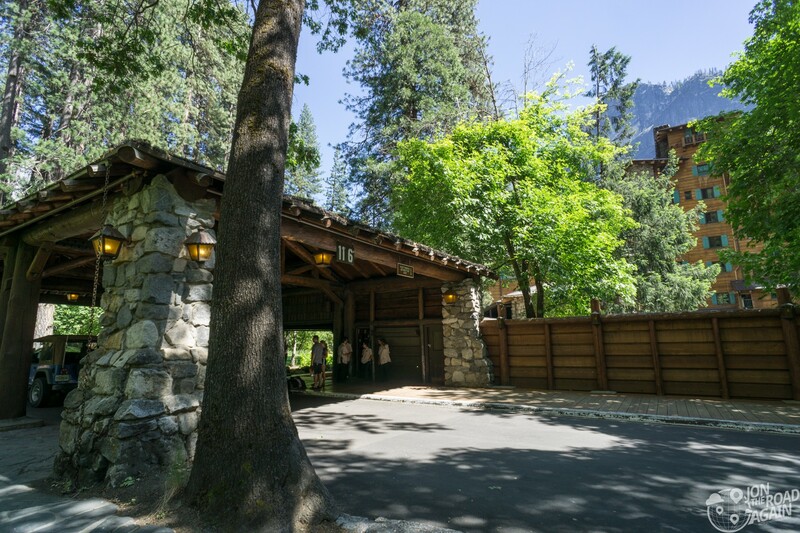 Known as the Ahwahnee Hotel until 2016, the name change came after a lawsuit against the US Government. 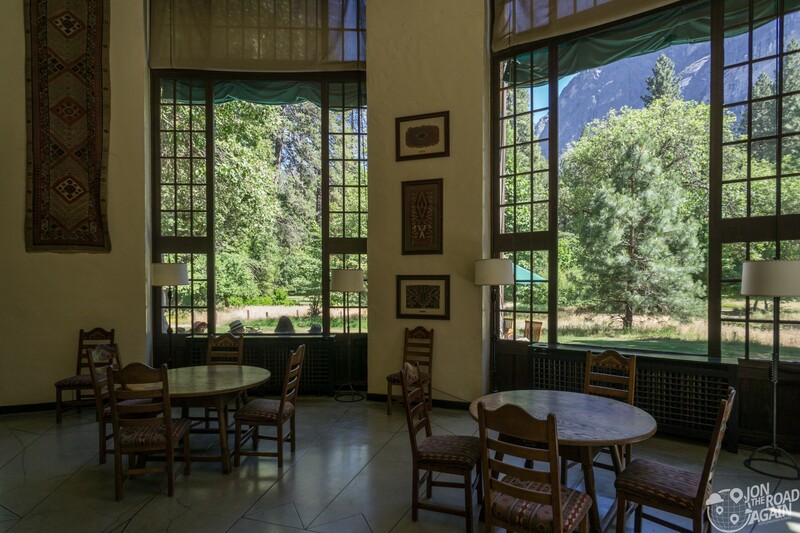 The Park Service changed management companies for the hotel, and the outgoing company claimed the Ahwahnee name was their intellectual property. 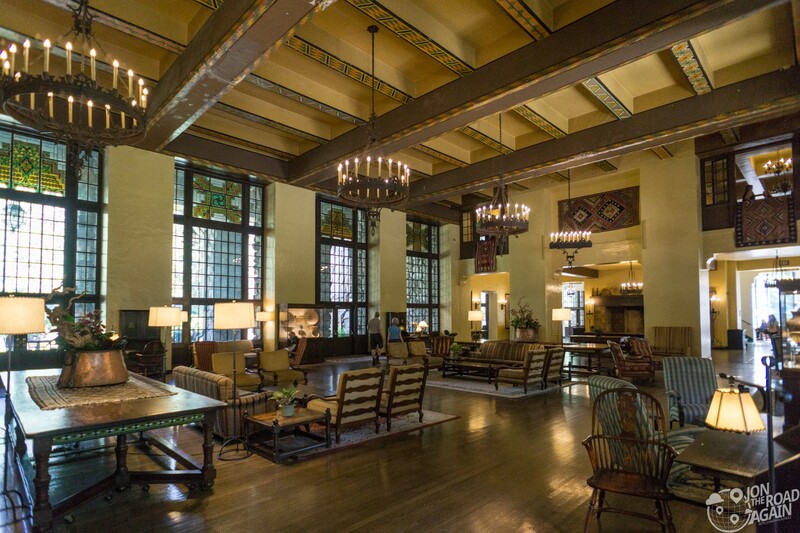 The Ahwahnee hotel was designed by architect Gilbert Stanley Underwood. It is considered a masterpiece of “parkitecture” with the rustic feel matching the surroundings. The hotel contains some 5,000 tons of granite, 1,000 tons of steel, and 30,000 feet of timber. What looks like wood siding on the hotel’s exterior is actually stained concrete made to simulate a wood pattern. Concrete was chosen to add fire resistance to the hotel. The construction lasted eleven months and cost $1,225,000 when completed in July 1927. Like many other park lodges, the interior work was carried out by a number of different artisans. This large space spans the full width of the hotel. There are two fireplaces on either end of the room. The room is lined with large windows with stained glass at the top. It’s an odd mix of Art Deco and Native American styles that, against all odds, work well together. I read that the interiors here influenced the design for the fictional Overlook Hotel of the movie “The Shining.” All work and no play makes Jack a dull boy. At the end of the Great Lounge is a solarium, which offers nice views of the steep cliffs above. 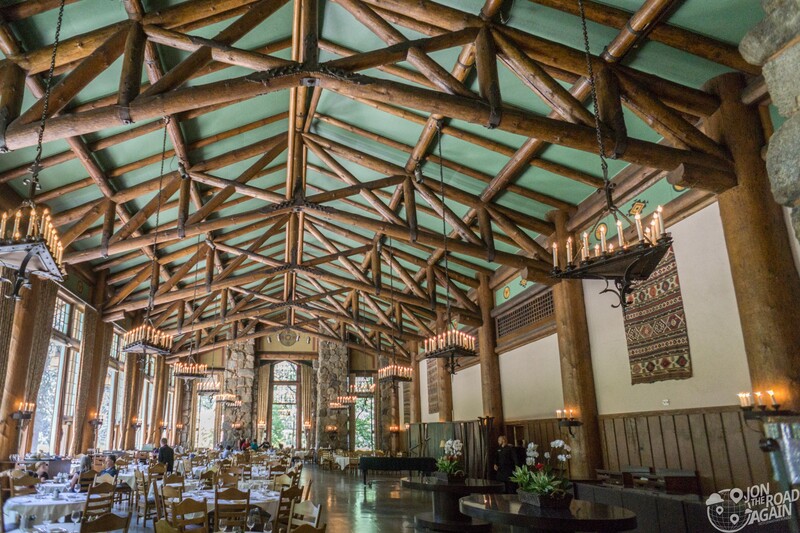 The dining room is 130 feet long and 51 feet wide, with a 34-foot ceiling. The wood beams above are actually hollow, with steel beams going through them for fire safety reasons. They used to require coats for the gentlemen dining here, but they’ve relaxed the dress code to a more Phil Collins-friendly level (No Jacket Required). Do you like Phil Collins? The room can still be classy. The hotel hosts a major Christmas holiday feast called the Bracebridge Dinner. This is a themed seven-course dinner, set during the Renaissance. Performers are in full costume. It’s a hot ticket. 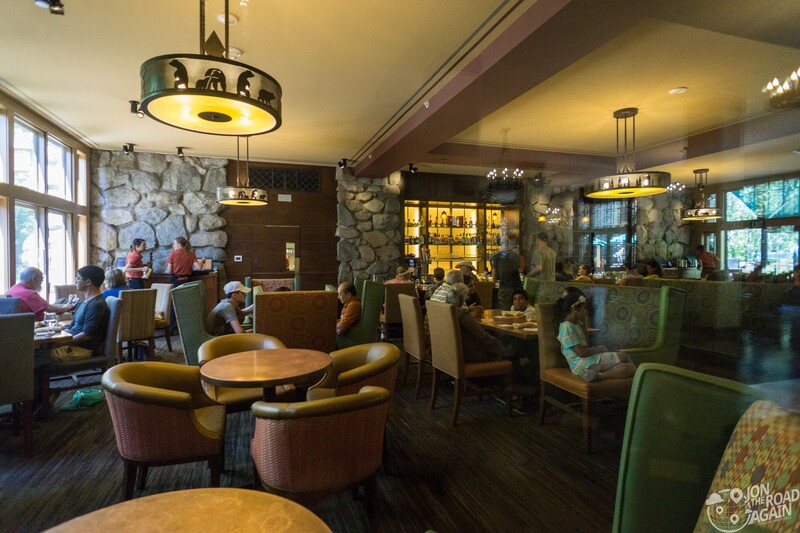 The hotel also features a smaller, more causal bar closer to the lobby. They’ve rolled out the red carpet for us (and anyone) on the long walk from the lobby to the valet. The US Navy actually enclosed this walkway when the hotel was taken over during World War II for use as a hospital for war veterans. Heading back out to the bikes, we’re going to ride around the Valley and then take a hike on the Mist Trail to Vernal Falls. Later we’ll visit Glacier Point, the best overlook in this park or any park for that matter. 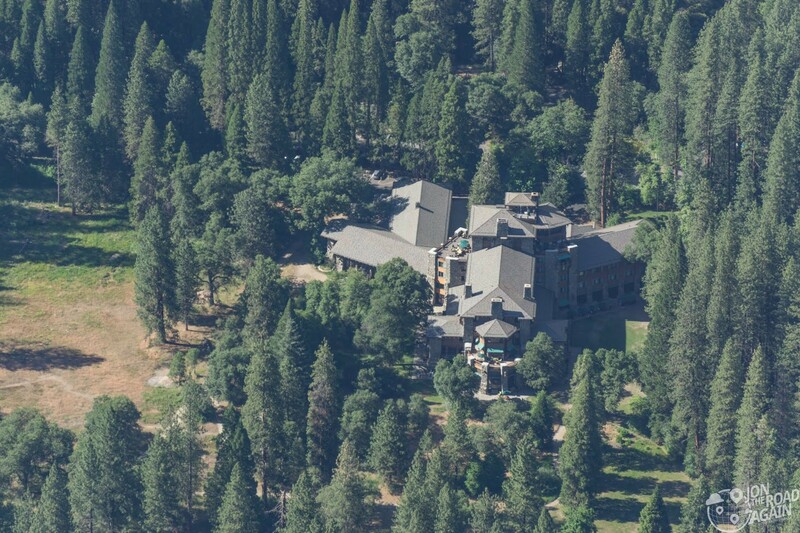 From there you can see many amazing Yosemite sites, including the Majestic Yosemite Hotel. 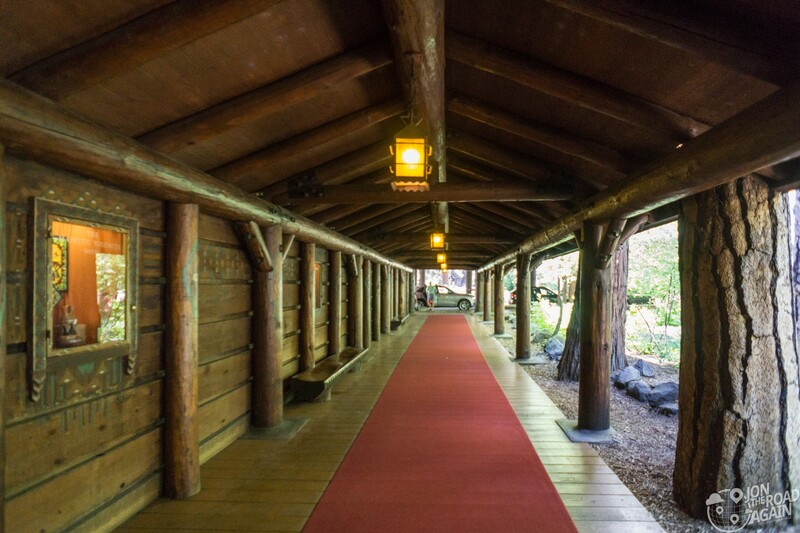 The Majestic Yosemite is the nicest hotel in the park, rated at 4-stars. 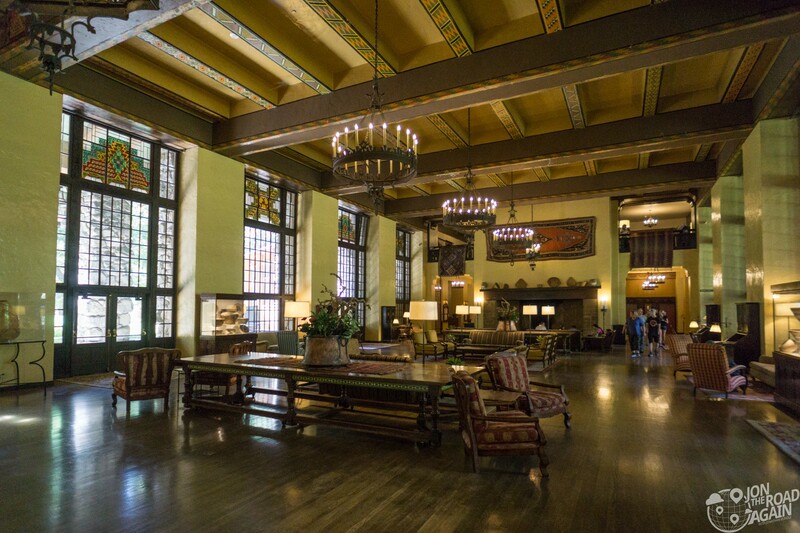 Like other National Park hotels we’ve visited before (Crater Lake Lodge, Many Glacier Hotel, Lake McDonald Lodge), she is listed on the National Register of Historic Places. There are 97 rooms in the hotel and an additional 24 cottages on the property. If you want to book a stay, visit their website. 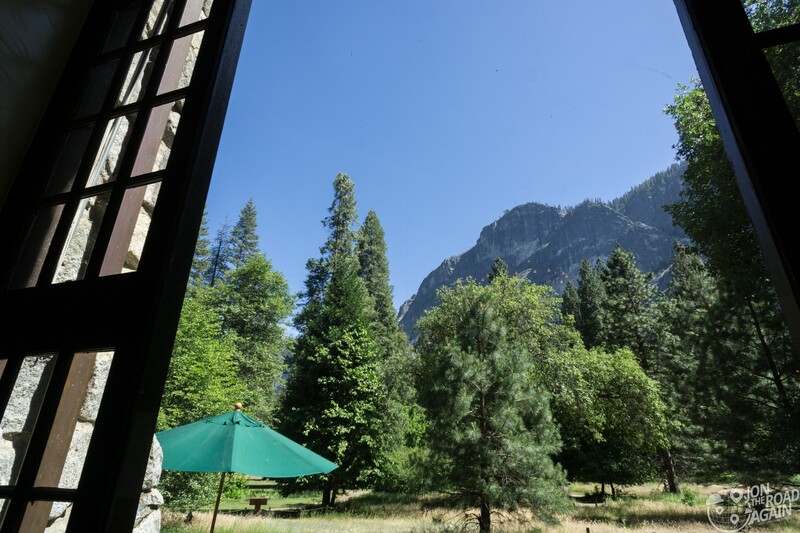 All properties in Yosemite Valley book up quickly. Just lovely. I would really like to be there at Christmas time .Thanks for the trip!!! !